Sally works with the team at White Rose Clinic and brings a wealth of knowledge from many corners. Her athletic career started as a young child combining cross country and a more focussed time on the track. Her track success reached its peak when she represented GB at a handful of one day internationals and the European Junior Championships winning the Gold medal in both the 200m and 400m! She has a Bachelor of Science degree 2(I) in Exercise Physiology and Mathematics and after becoming a very successful personal trainer in London, steered her career to rise to the position of General Manager of a multi-million pound Health Club. Sally currently is enjoying a new found love of cycling (courtesy of her husband Mike) and competed in some open TT’s for the first time in 2013, winning a couple of ladies categories along the way. 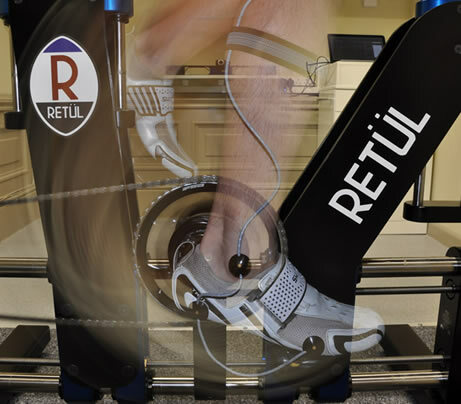 Together with Mike their passion for the sport along with an interest in how the body moves and functions has led them to the Retül Bike fit system. Mike has worked as a full time professional Sports Massage Therapist since 2005, building up a client base that keeps his diary booked up throughout the year. Since 2011 Mike has also worked alongside Jonathan Draper using the same materials and techniques to create custom Insoles/Orthotics. Mike’s sporting background started with running as a school boy then he moved across to cycle racing doing a mixture of Road Racing and Time Trialling. He had some success with the ‘Mass start races’ with a win or two and some top 5 places but really found his pleasure in racing against the clock up and down the dual carriageways of Northern England. By his early-mid 20’s he had slipped into running, favouring 5-10K races with PB’s of 17min and 34min respectfully. Sadly Mike was involved in an accident with a mountain biker whilst running in Leeds and his back hasn’t really allowed him to run consistently since. 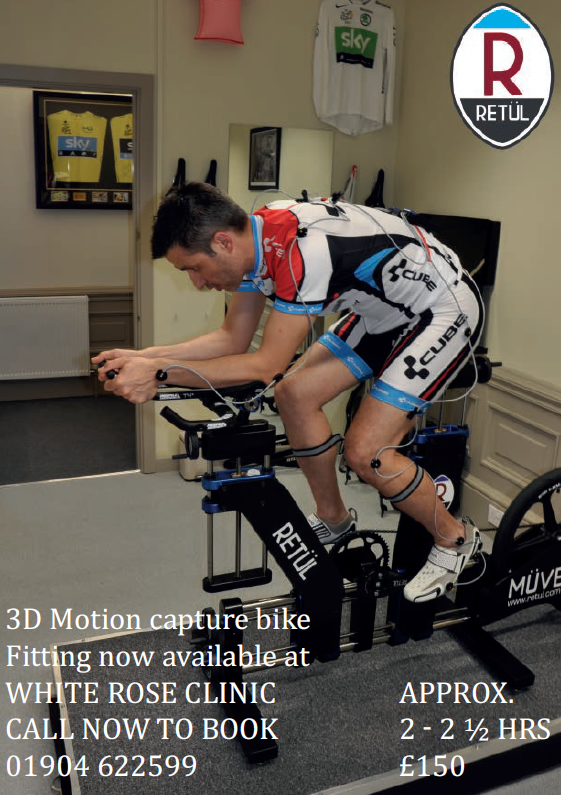 This has put Mike back onto his bike again and drawn him to combine his love of cycling with his interest in Biomechanics where he performs Retül bike fits for clients with his wife Sally.